911 operators are unsung heroes who are usually very dedicated in their work. The operators usually receive and respond to emergency calls. They are usually the first people to be contacted when emergency assistance is required. Most of the calls they receive are made by people who are stressed and anxious. So the operators need to be mentally strong and be able to make quick judgments. They are supposed to calm down the callers and get as much information as possible. They access the level of emergency and then send the necessary form of help which can be police, fire fighters or medical assistants. However, it is important to know the exact 911 operator job duties and description. The first and main responsibility of a 911 operator is to receive emergency calls from people who need emergency help. This requires the operator to have knowledge on how to operate a caller’s board. The operator receives calls from a certain area of jurisdiction. The calls that come in are usually by people who are distressed and need help. Consequently, the operator must be able to access the calls and then send the needed help. Every operator has designated time when he or she has to work. This means that the operators work in shifts. The importance of this is that the operators need to be available regardless of whether it is during the day or at night to receive calls from people who need help. Another important duty of a professional 911 operator is to provide professional advice to the people who call needing help. The advice is usually in form of what to do before the emergency help arrives. This requires the operator to have good communication skills and also to have basic skills on how to respond to different kinds of emergencies. A good example of this is when a person calls when his or her house is on fire. In such a situation the operator will advice the caller on what to do to avoid getting injured by the fire. 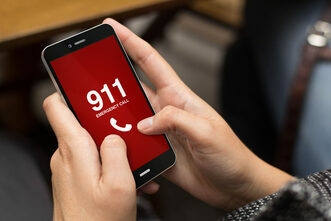 The operator who receives 911 calls also works by contacting the providers of various emergency services. The operator has the responsibility to identify the closest provider of the emergency response services. When the operator receives the emergency calls, he or she is supposed to know the providers of emergency services who will be able to reach the location of the person needing help first. The responders might be police, fire fighters or medical practitioners. Therefore, the 911 operator must know where the providers of the various services are located so as to send the ones that will be able to arrive first. The 911 dispatcher is also required to record all calls and enter the details into the local and national database. The recorded calls are usually used as references in case information is required about the emergencies. Therefore, the operator must know how to operate a computer and other related gadgets. The stored information is especially useful when there are court cases that emerge from the emergencies responded to. In the past the calls were recorded and stored manually. But because of technological advancement the calls can now be recorded and stored dignitary. This data is stored for a long time until it is required. Therefore, a 911 operator has various responsibilities which are all meant to ensure the people who call needing emergency help can get the necessary help within the shortest time possible.